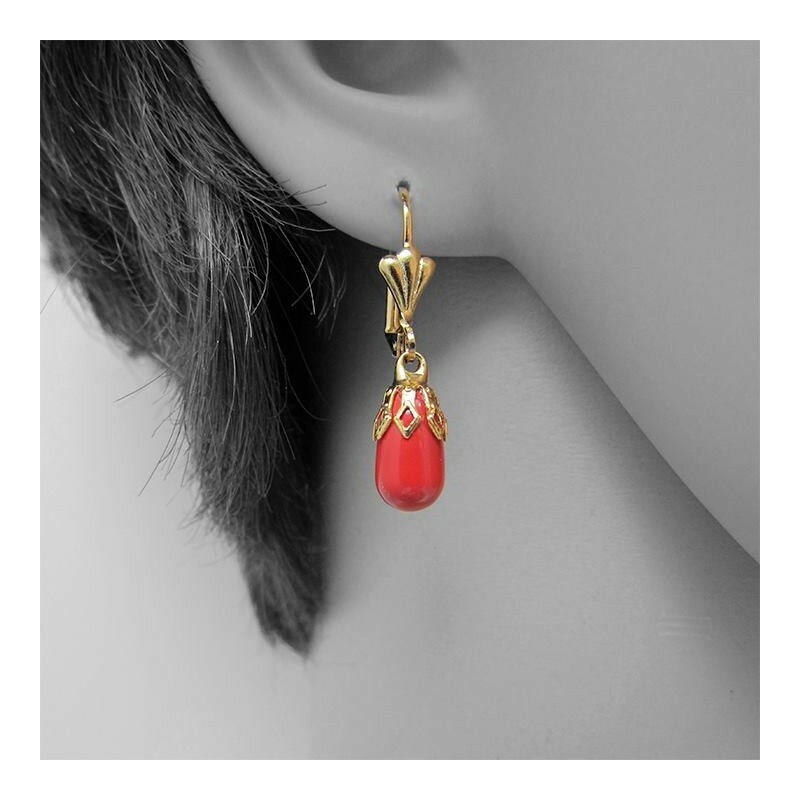 Red drop earrings love story collection, vintage style. 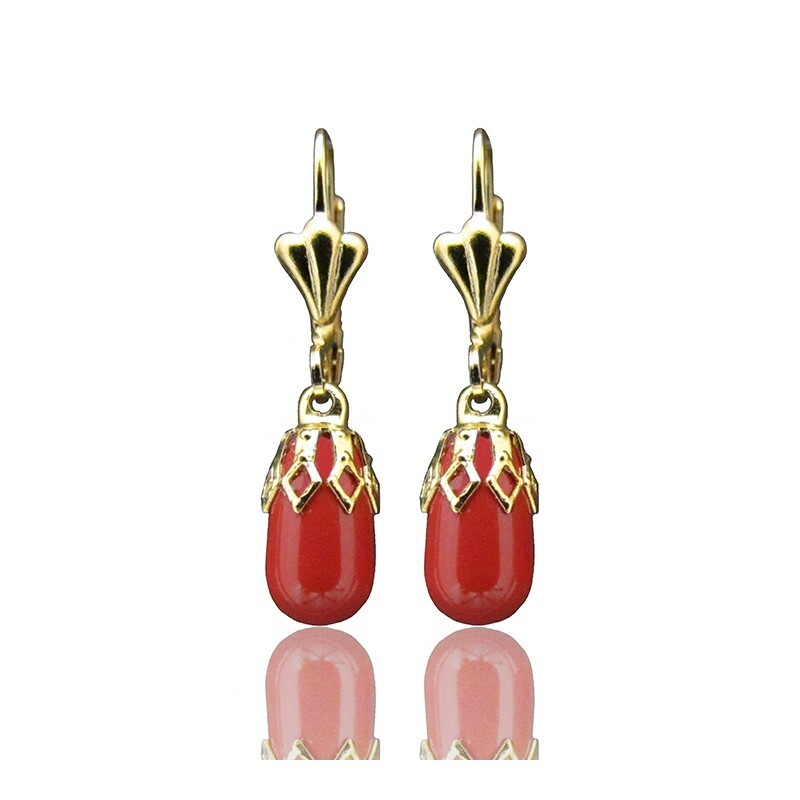 Red drop earrings made of gold plated elements and Swarovski red pearl drop. 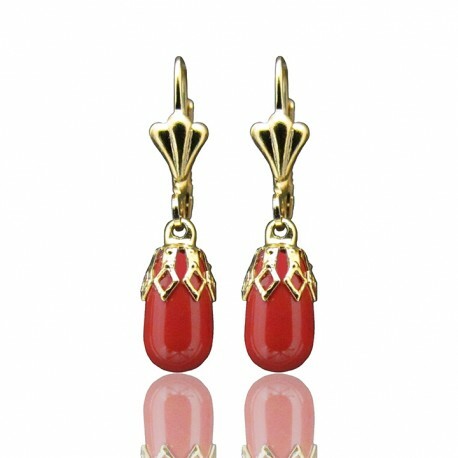 Red drop earrings length: 0.8" / 2 cm approx. 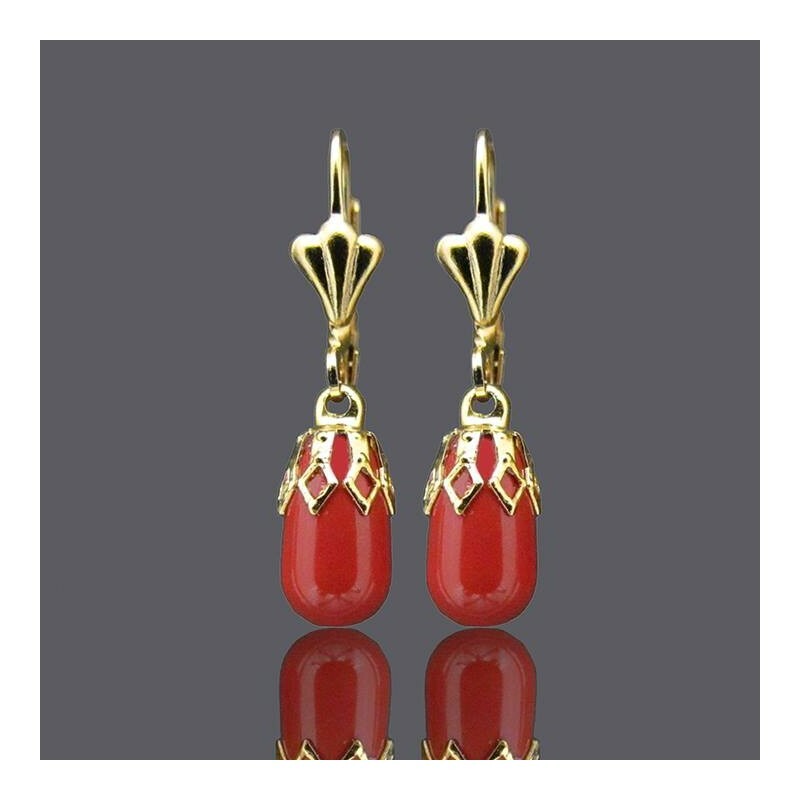 Red drop earrings are suitable for bridesmaids, mother of the bride, mother of the groom or anyone who wants to enjoy them!